I wonder if the University of Tennessee athletes get paid, or if they are all just Volunteers. Part of my job here at the Cleveland Indians, nay, the majority of my job here is to coordinate different events that involve numerous volunteers. It is a very rewarding job because I know that at the end of the day, events that I have planned and coordinated, ended up helping someone or some non-profit organization. It’s also great because every one of my volunteers, whether they know it or not, don’t need to be paid! It’s free help! Anyone can work to get paid, but it takes a real man (and woman) to work for a hearty handshake and a warm smile…and free Indians tickets. 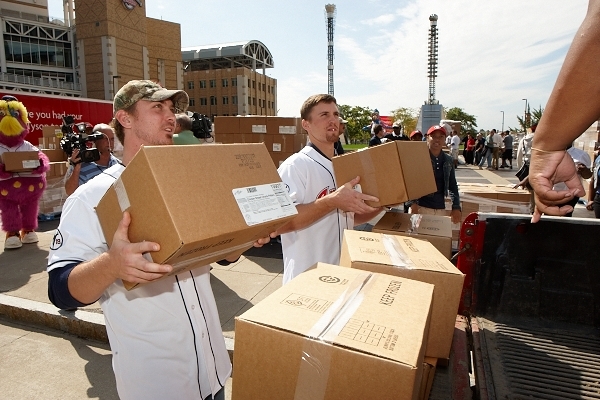 The Indians in partnership with Business Volunteers Unlimited continued the Indians Volunteer Challenge during the 2011 season. The Challenge is an opportunity for area families, citizens and baseball fans to give back to their communities and receive Tribe game tickets. To make life even more exciting (and to back up our reasoning for calling it a volunteer “challenge”), we thought we would reward the person with the most volunteer hours logged the opportunity to throw out a first pitch before an Indians home game. We actually had two winners this year. Richard Schapel of Parma and Brian Dietrich of Avon each logged over 160 hours of community service and were named the Cleveland Indians Volunteers of the Year. They were honored during a pregame presentation last night and Richard Schapel threw out the ceremonial first pitch. 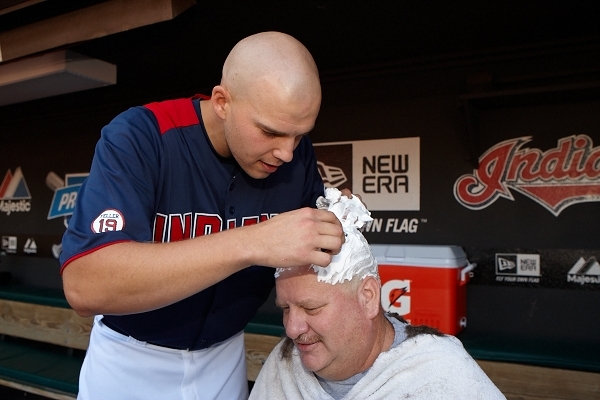 I’m sure we’ll have the challenge next year, so keep an eye out on Indians.com for how to sign up!